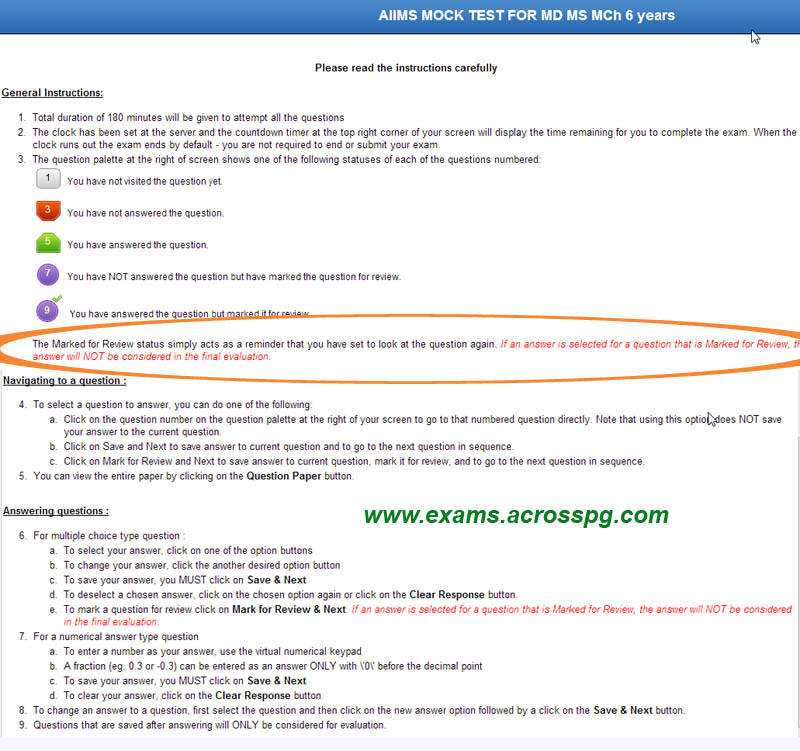 Basic guide to AIIMS Online Exam - AcrossPG Exams! The software used by AIIMS Demo is different from the Software used by Prometric/NBE. 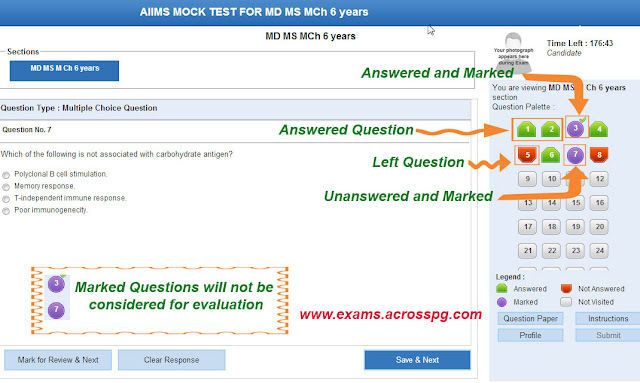 If u want to review the question later, u can either select the option and mark or just mark without selection any option. The quest. number will turn 'PURPLE. Or u can just simply leave the question and proceed by clicking Save & Next. Unanswered/Unmarker questions remain RED. Before final Submission review your violet questions and unmark them. Any Query. U can ask here, we will try to Help.